Nora Megamax safety Wellingtons are made of polyurethane, the unique insulation properties of PU mean that your feet will keep their normal heat in the summer and be warm in the winter, even in extremely cold conditions. 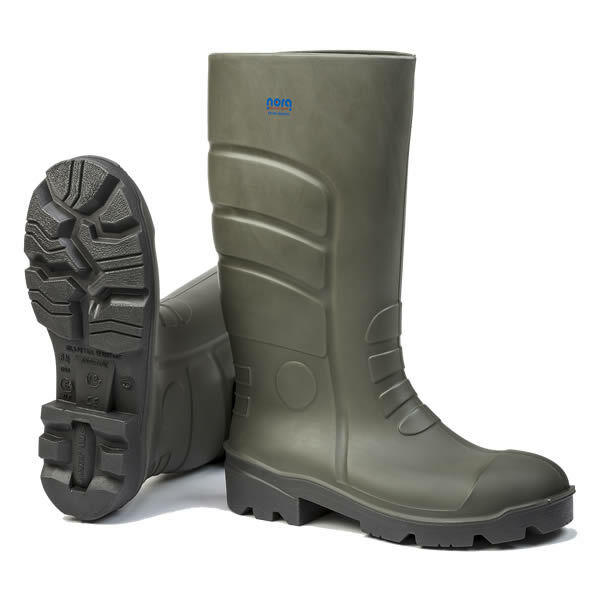 PU is also very light weight, the total weight of a pair of boots is approximately 1 Kg lighter than rubber or PVC. Ideal for spending many hours working in, the Megamax has a steel saftey toe cap and midsole plus a comfort and antistatic removable insole.